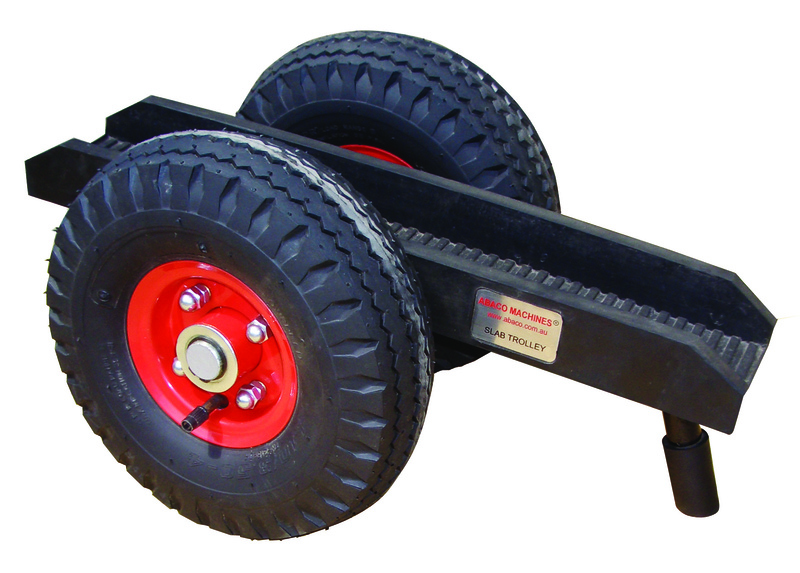 The 8 Slab dolly is a small slab trolley used to move work pieces around the work place. The Dolly has solid rubber tires. The two wheels are joined by a channel which has rubber vulcanized to the bottom and sides of the trolley to avoid chipping the edges of the finished work piece. Carrying capacity of over 600lbs. © 2004-2019 Canadian Diamond Products.